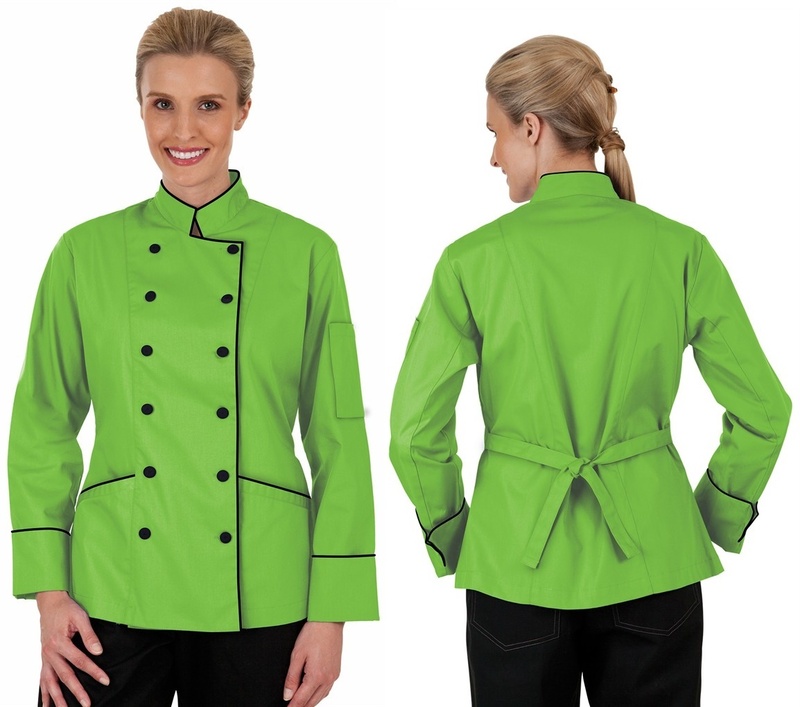 These Women's Traditional Fit Chef Jackets include a back tie belt that adds an especially flattering, shaped look. 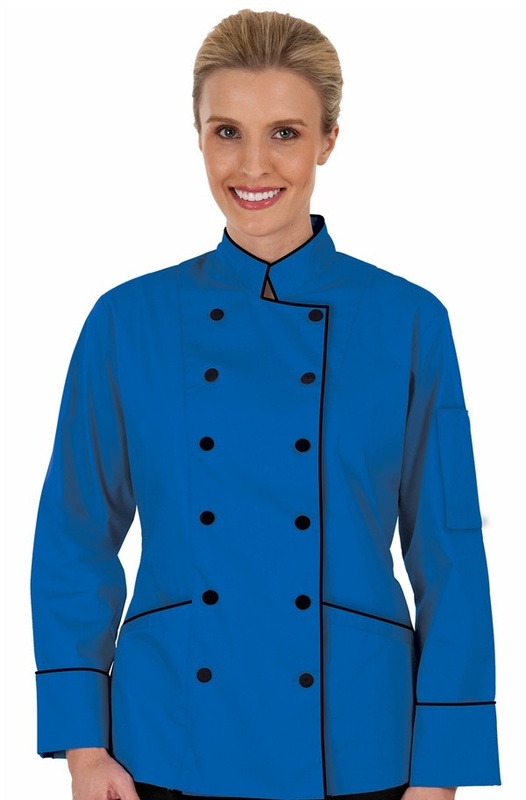 Made in 65/35 poly/cotton fine line twill, these tailored coats are light and comfy. Fine-quality fabric covered buttons finish the look. More room in hip and arms. 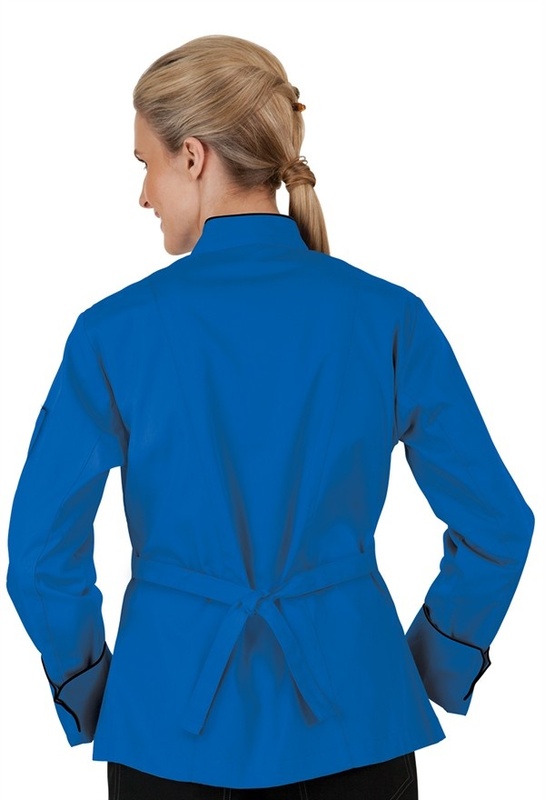 Convenient double pocket included on left sleeve. Black contrast piping. 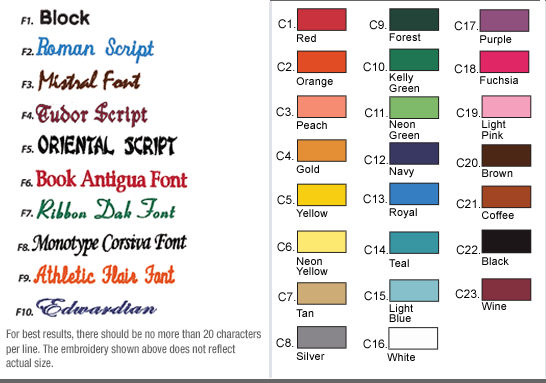 Also has reversible closure.